Bella Busine (left) and Briana Condon were abused in a Brisbane shopping centre carpark. 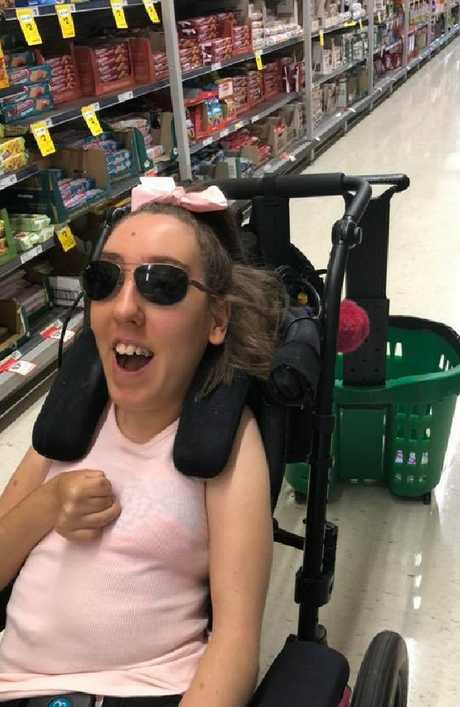 CEREBRAL palsy sufferer Briana Condon was told to "get off the f***ing road" as she travelled through a carpark in her wheelchair in Brisbane's south-west yesterday. Ms Condon was with friend Bella Busine when the incident occurred. "In the carpark, this person beeped the horn at us - not the person who was closest to us, they were letting us pass," Ms Busine said. "She rolled down the window to yell at us, and it scared Bri so badly. It scared me as well. We were really upset." Ms Busine said there was no footpath, yet the woman told them to get on one, and "get off the f***ing road". 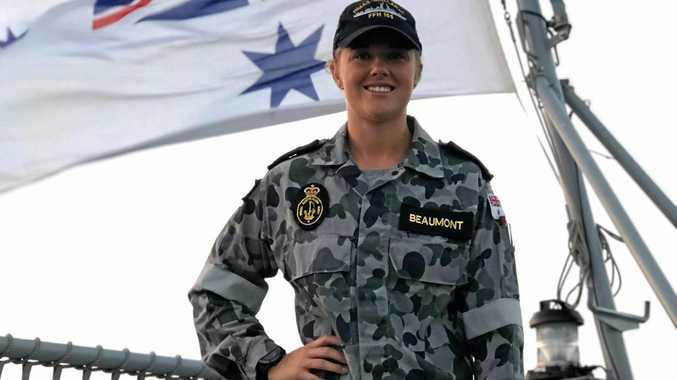 Briana Condon was sworn at while out shopping at the weekend. 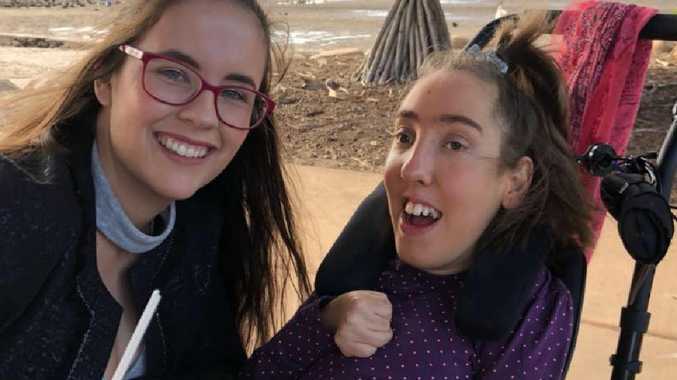 The pair run Briana and Bella: Accessible Brisbane - a website and Facebook page that promotes inclusiveness and accessibility for people with disabilities. The women have been swamped with support since posting about the experience on their Facebook page yesterday. "We don't have access to a car at the moment which was why we had to walk, and here was a woman in a car so she had that privilege above us at that point. She has the ability to drive and just walk in and we don't. It's a lot harder," Ms Busine said. "It really brought the day down for a bit." Ms Busine didn't want to identify the shopping centre, but hoped some positives could come from the experience. "We know that 99 percent of people are good - they really are. This was just to remind people that you don't know what someone's going through, so why should you be yelling at them - whether they've got a disability or not. And not all disabilities are visible. Just think about what your yelling is going to do."